BBOPP / PET / PVC / LLDP / Laminate / Co polycarbonate crystalline ‐ the films of today can be devastatingly hard and abrasive. 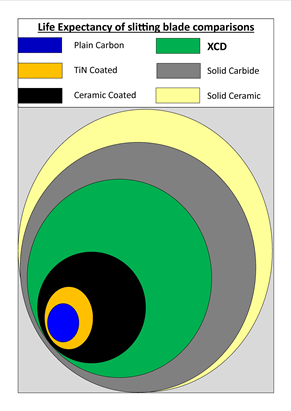 Modern lifestyle demands for high % recycling and bio-degradable films that will still withstand the temperatures of a modern oven or microwave. Basic steel blades are no longer able to offer the performance required; they lack the wear resistance and life expectancy needed in modern converting and their high coefficient of friction levels easily melts the films slit edge. However only the big corporate manufacturers running 24/7 can afford to use the modern blade materials, like tungsten carbide and zirconia ceramic, which are good but brittle and susceptible to breakage. Durham Duplex has developed the "XCD" range of blades for the small to medium converter needing the slit quality of powder metallurgy but with a flexible substrate to allow excellent performance on short run stop start production. 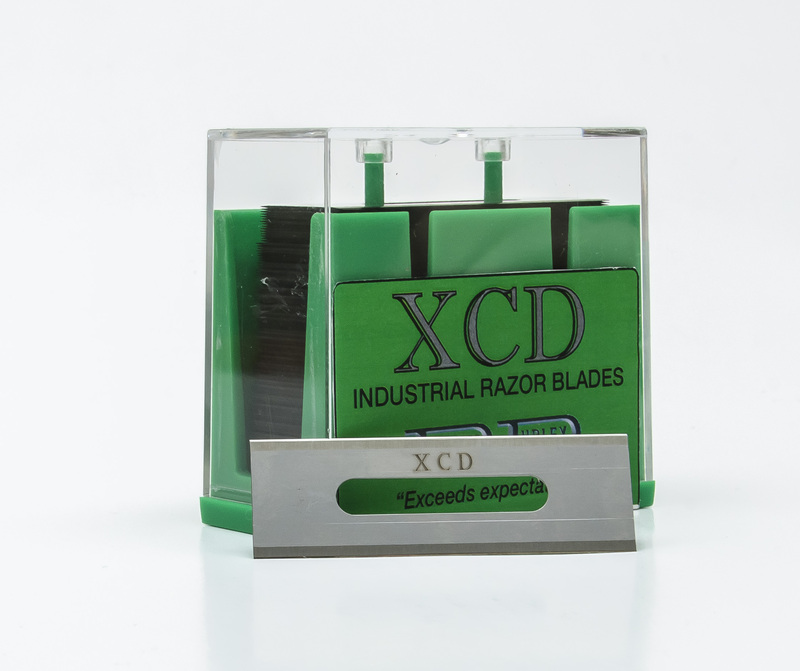 The "XCD" range of blades is the result of 30 years of research and operation within the film and foil converting and slitting industry. Durham-Duplex has used this experience to develop a high grade special chrome nickel alloy blade and fused it with a patented ultra-hard surface treatment with a sub 0.2 coefficient of friction. This makes the "XCD" blade flexible and forgiving yet hard and near friction free - a revolutionary low cost solution to the modern converter's needs. The Durham-Duplex family of blades still includes the widely acclaimed solid carbide and ceramic blades but our expertise has been applied to delivering "XCD" as a cost effective versatile blade to maximise your slitting operations.